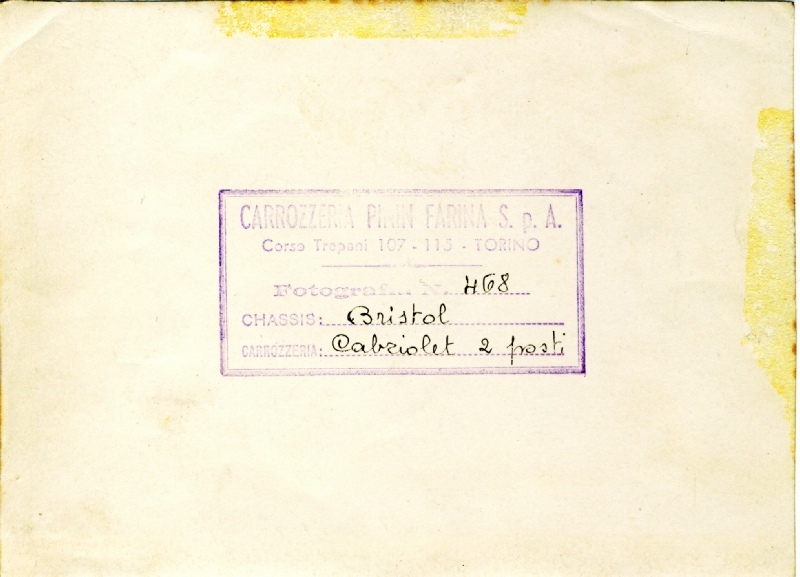 Reverse of these official publicity photographs for Carrozeria Pinin Farina S.p.A. 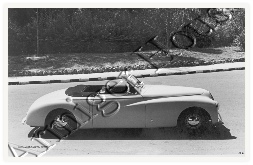 These two photographs were taken by Foto Moncalvo Torino shown on the front at bottom left of both photographs. 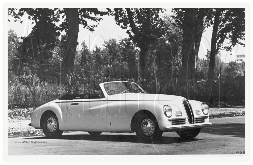 An official publicity photograph for Carrozzeria Pinin Farina S.p.A. Rather confusingly, this photograph and the following photograph both carry the same reference number - 468 (bottom right of photograph and on reverse). 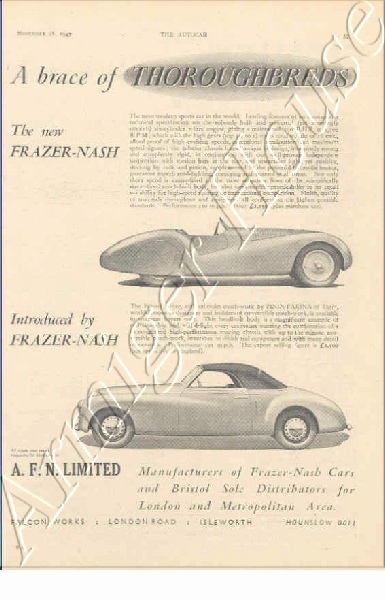 A full page advertisement for AFN in The Autocar of November 17th 1947, page 15. 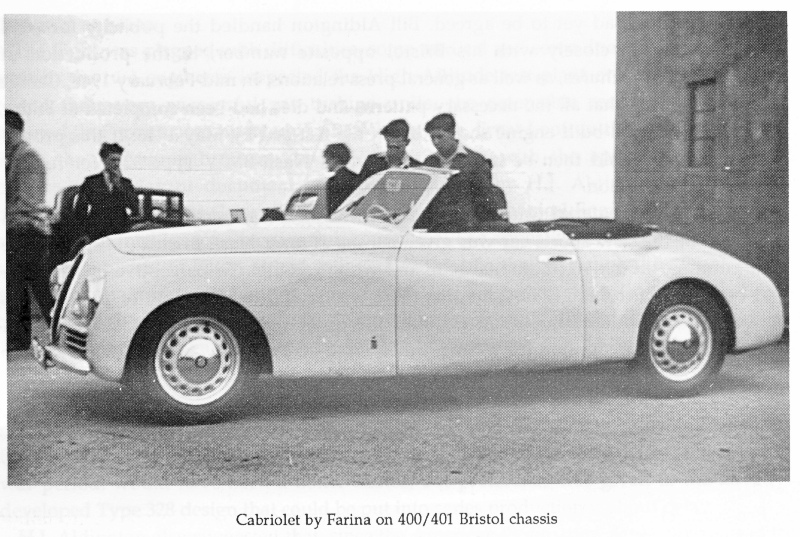 The lower section refers to the availability of the Farina (without reference to chassis type) as being only available for overseas customers at a price of £2,500. 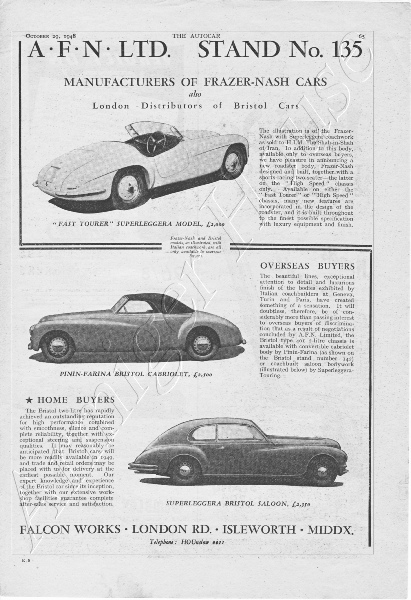 A review from The Motor dated 17th December 1947 of chassis 400/102 which was the car used in all of the Bristol publicity activities. 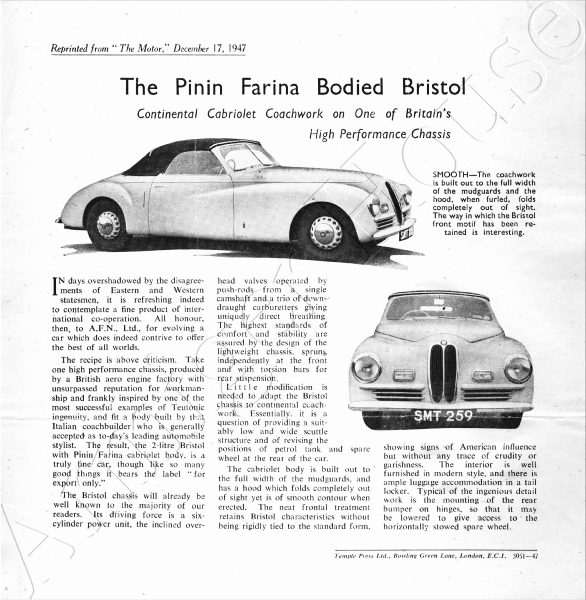 The original sales brochure, showing both the Pinin Farina convertible and the Touring saloon. 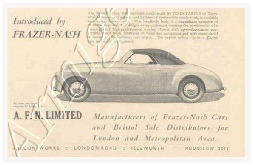 This appears to be the first reference to the Bristol Farina under the Prices section. The cost shown is £2,500. 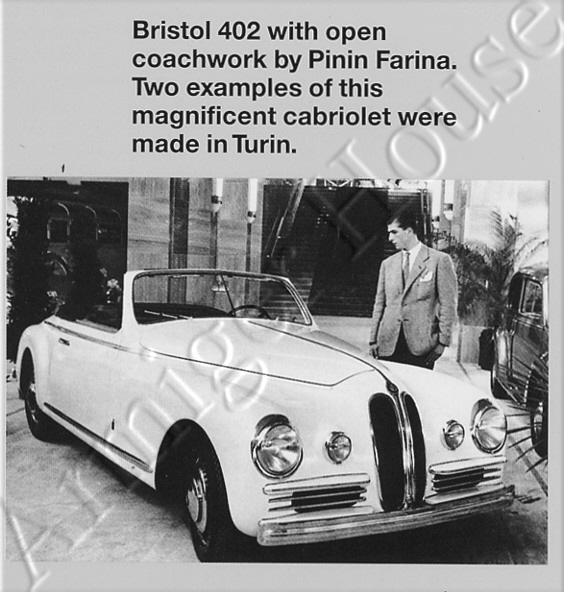 This photograph, appearing on page 281 of the above book by Rainer Simons published in 1996, incorrectly ascribes the model as Bristol 402. The 402 was created and produced entirely in-house by Bristol. 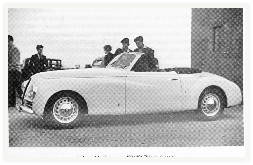 The photograph is unique as it shows the Pinin Farina body with round auxiliary lights at the front. 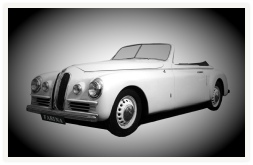 All other Pinin Farina bodied cars, Bristol, Lancia, Alfa Romeo, etc., always have the trademark oblong auxiliary lights or air vents. 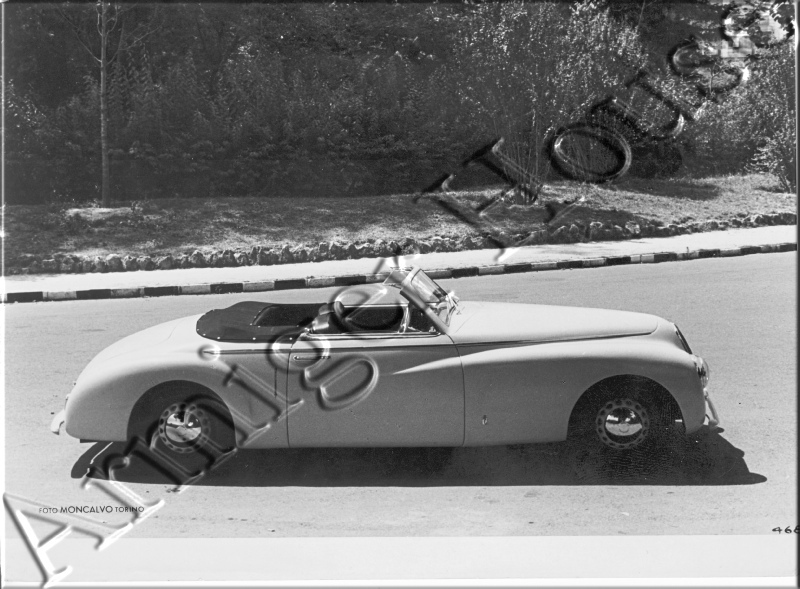 This difference, together with the fact that it is left hand drive, leads us to believe that this is the only in-period photograph of our car. 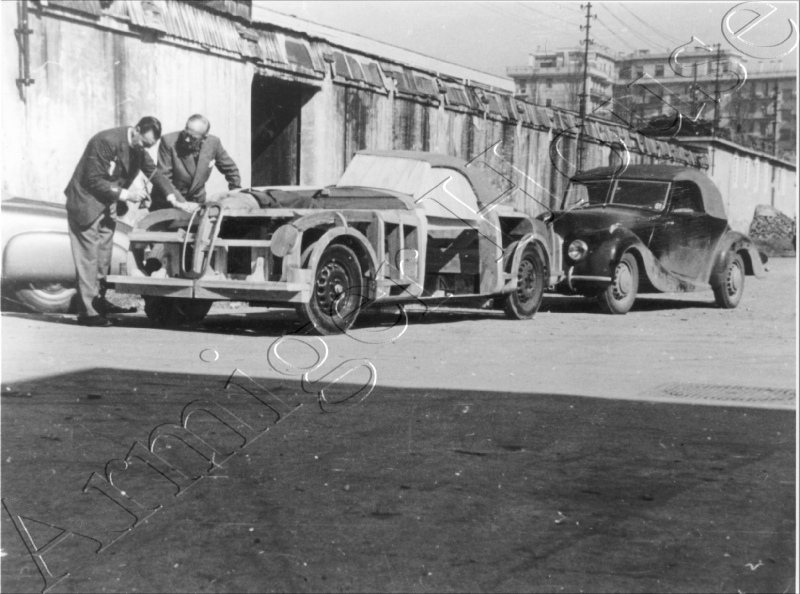 The car was subsequently returned to AFN when it was changed to right hand drive. 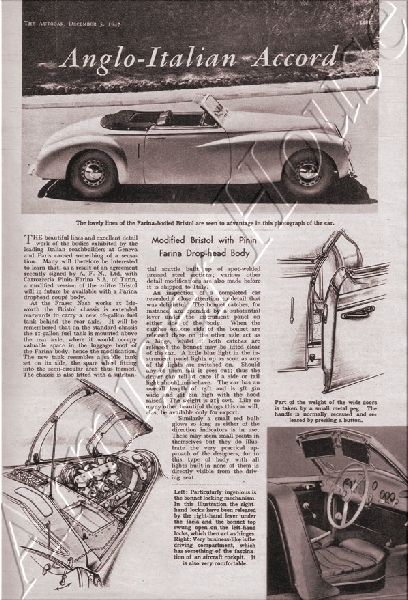 A full page advertisement for AFN regarding the 1948 Earls Court Motor Show. 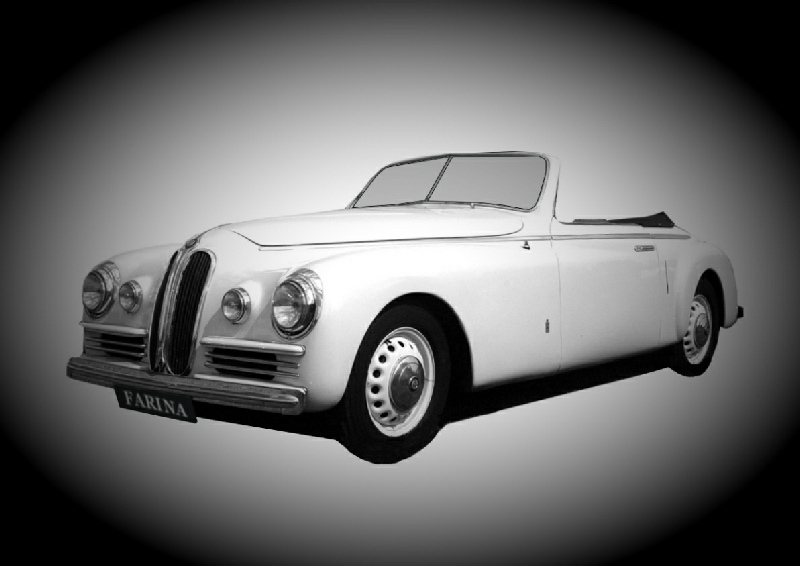 The centre section refers to the availability of the Farina (this time on a 401 chassis) as being only available for overseas customers. 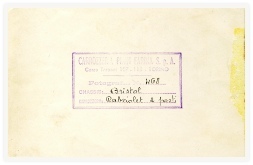 The customer restriction may be as a result of pressure from Bristol. The price shown was £2,500 (the same as the previous year). 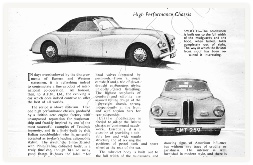 This article appeared on 5th December 1947 in The Autocar, possibly on page 1091. 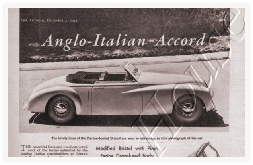 In it AFN are credited with having drawn up the agreement with Pinin Farina to produce the convertible body on the Bristol chassis. 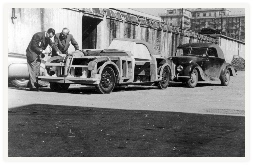 It also talks about the rear of the chassis being extended and a new 18 gallon petrol tank being installed. 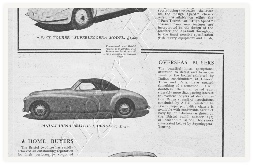 Note that the photograph at the top of the article is the second publicity photograph shown above. 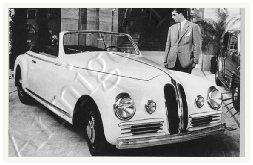 This photograph was found on the Internet, and may be a PhotoShoped picture of our car as it displays our unique features. 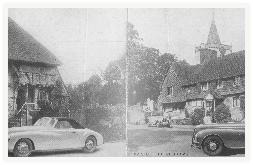 This photograph appears on page 24 of the excellent little book by Charles Oxley-Sidey published in 1988. It also reappears in his second book - Bristol an illustrated history published in 1990, on page 63. 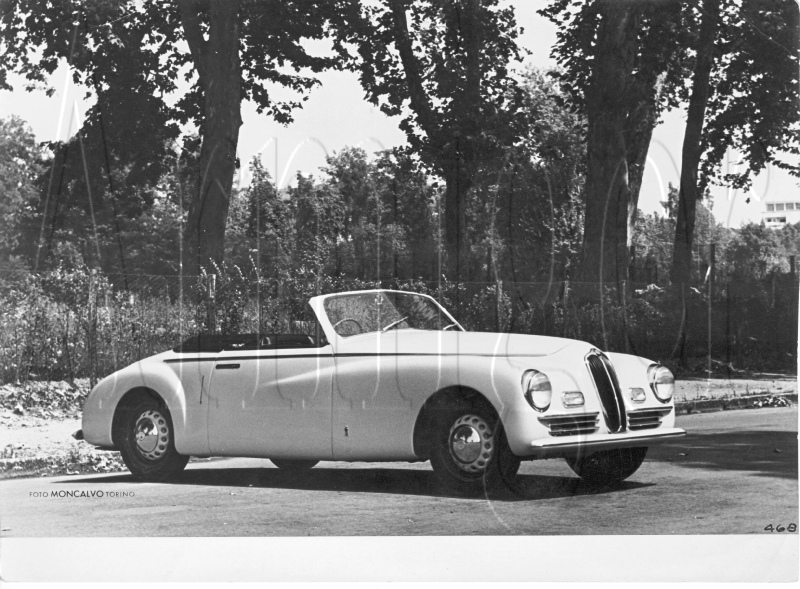 A photograph from the Pininfarina factory showing the 400 buck being created with a 400 cabriolet behind.